This post was featured on Reason to Skip the Housework! Anyway, he can be quite a book hoarder and the poor little guy has nowhere to put his books in his room at night. So, he piles them into his bed (along with his extensive stuffed animal collection and approximately 28 cars, dinosaurs and monster trucks), to the point that there's barely room for him to lie down. We needed a fun (and simple) solution for this problem! 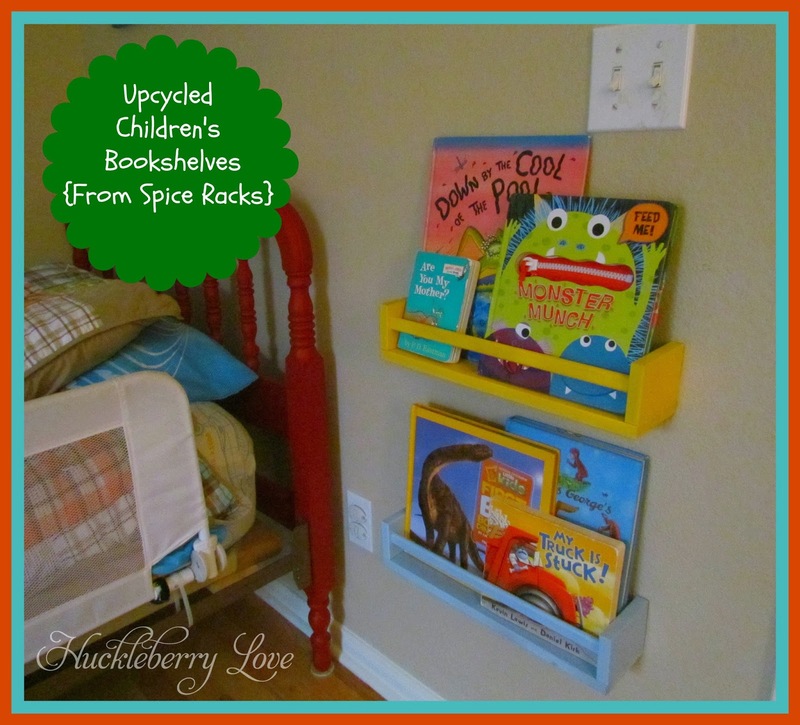 Upcycled Children's Bookshelves; IKEA hack. This was seriously one of the easiest projects I've ever done. 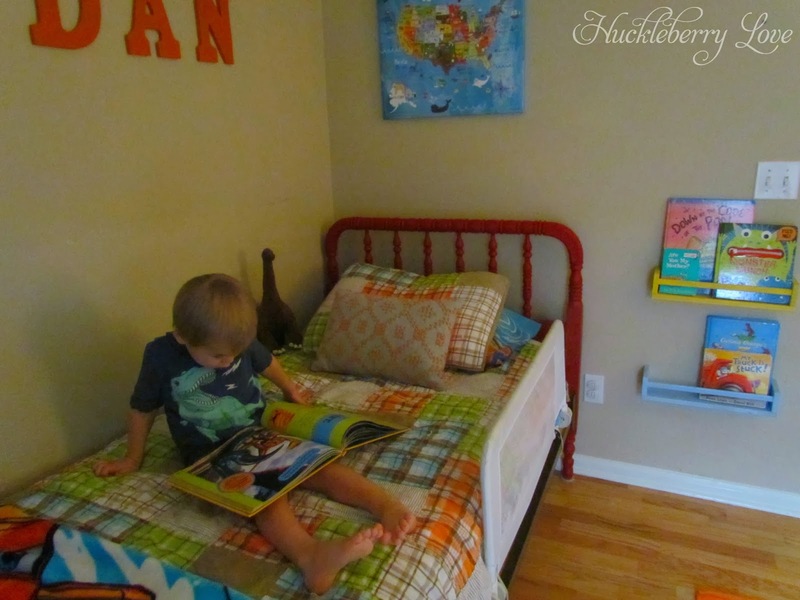 Aidan's room is a colorful spot and I wanted to make sure that the bookshelves fit right in. I dug through my spray paint stash and decided on these two colors. 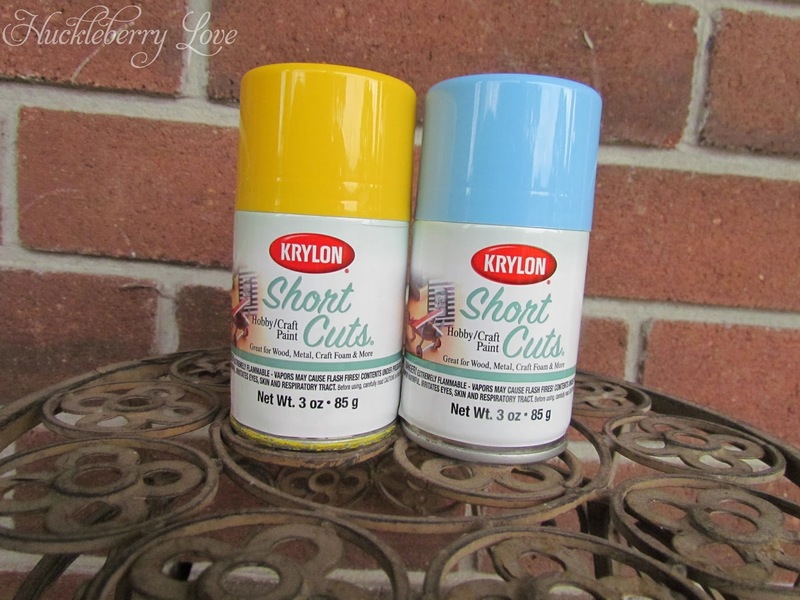 (Side note: I absolutely LOVE these Short Cuts cans from Krylon. They're the perfect size for projects like this and I try to keep them on hand in multiple colors.) 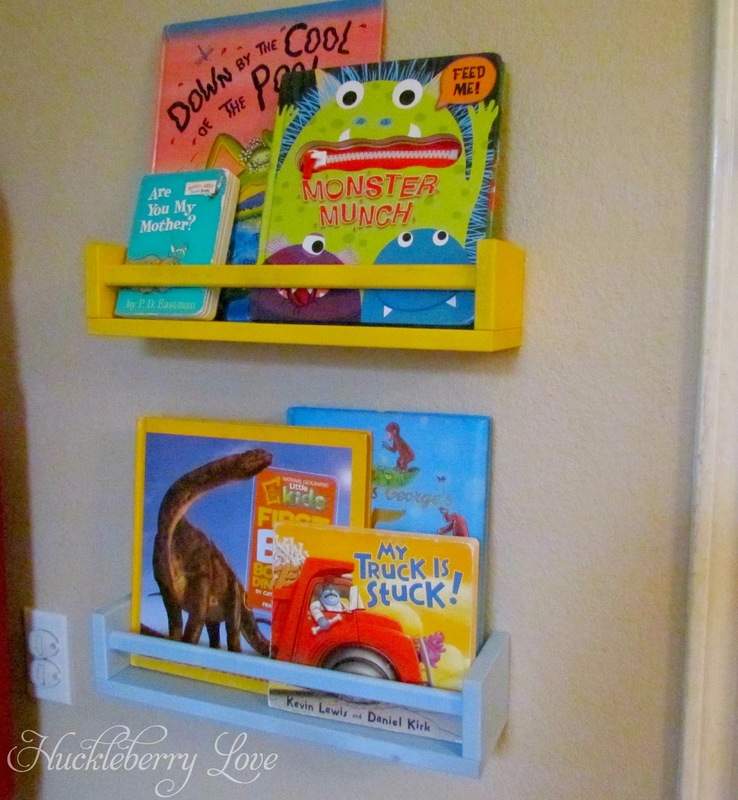 DIY kid's bookshelves. 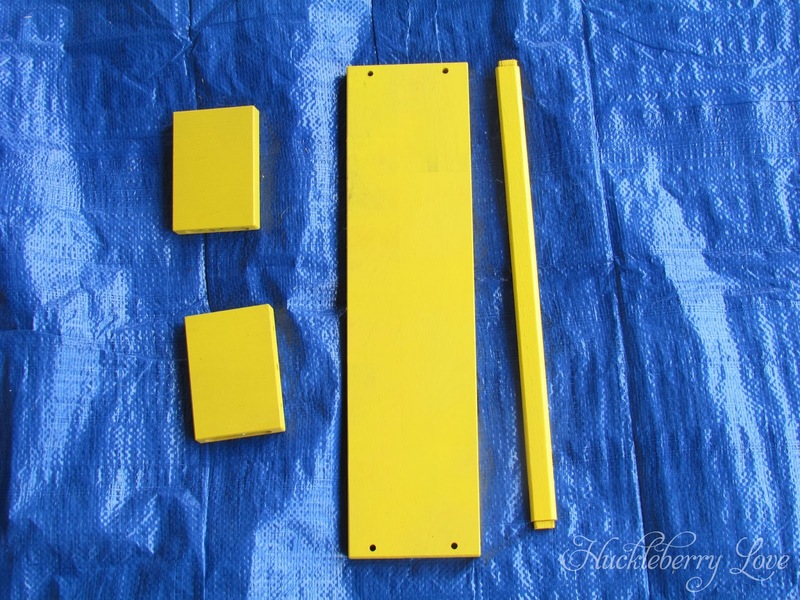 I gave each piece of the shelf a few coats of paint and let them dry in between coats. After following the assembly instructions, they were ready to hang! My husband is the power tool user in this house, so I had (impatiently) wait for him to get home and hang them up for me. Aidan was so pleased with his new bookshelves! 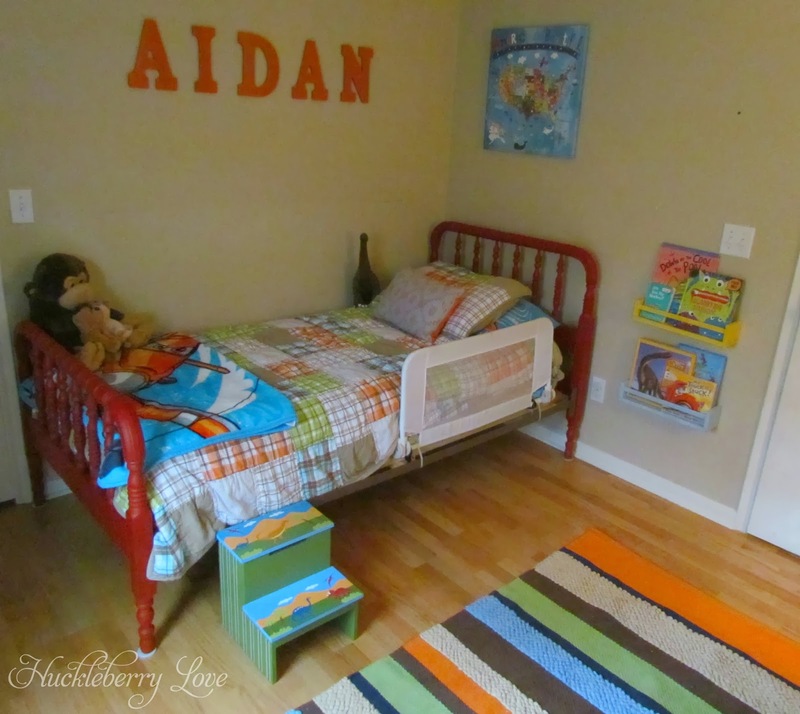 He immediately went into the playroom and began choosing which books would now reside on the shelves in his room. This was a perfect naptime project that yielded awesome results! 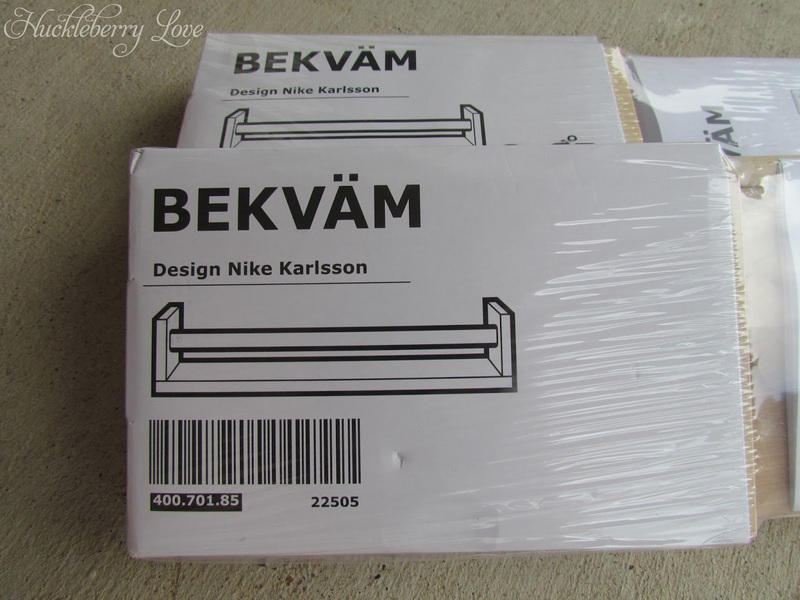 If you have a little reader who needs a bit more space (off of the floor) for their book collection, I highly recommend heading to IKEA and picking up a few of these shelves yourself! What book is your kiddo obsessed with right now? Have you upcycled anything lately? What a great idea. We generally throw them all in a bin, which of course, only the ones on top get taken out. This is a great way to have the kids actually see what is available for reading that day. We have bookshelves, but they're in the play room, so he's never really had book storage in his room. And, because of that he would also read the same books over and over again. We both love this solution! I have similar bookshelves in my daughter's room. I ordered them from Etsy, and I love them! I painted mine pink. 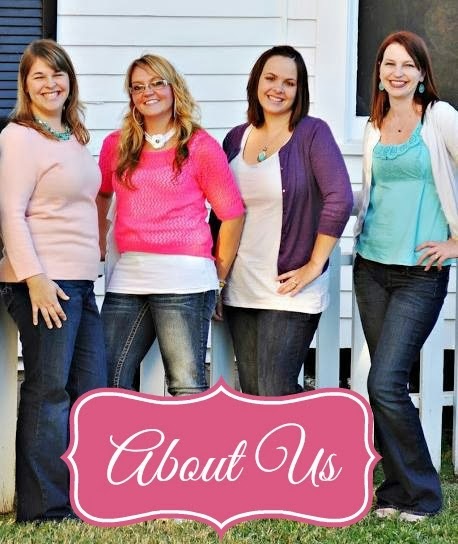 Stopping by from the You're Gonna Love it Tuesday linky :) I LOVE these!! SO cute and yet a great functional organizer. I love this! I have the same spice racks in my daughter's bathroom as shelving for her body sprays and lotions. Very cute idea to use them as bookshelves. I'm going to do that in my son's room. What a great idea for bathroom storage. I may have to steal it from you! I love this project. Makes for a perfect spot to keep a few books near the bed. Thanks for sharing at The Makers!